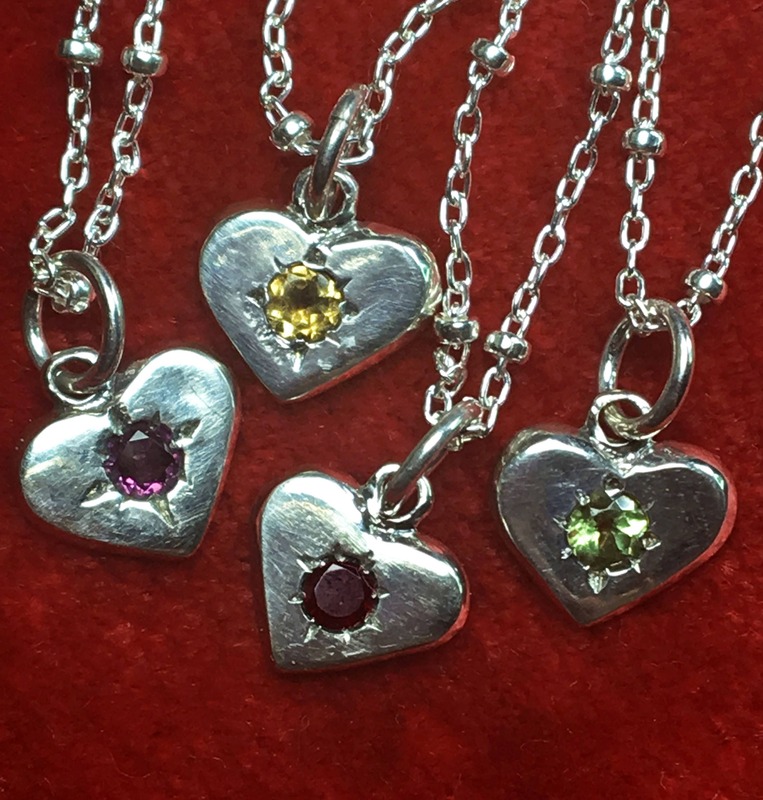 These sweet Sterling silver heart charms are perfect for Valentines Day and ready to ship! The last 4 of their kind. 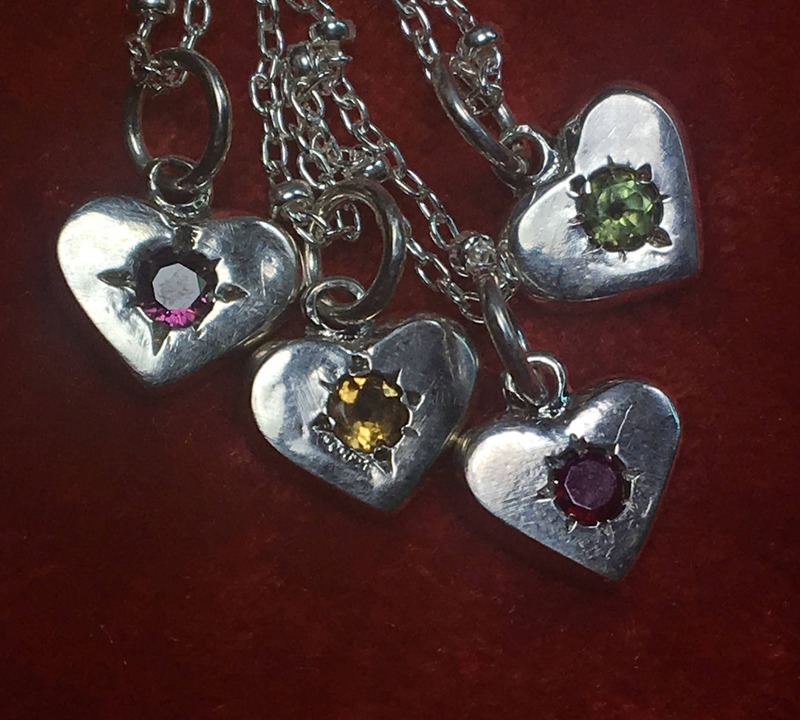 1 of each available in genuine pink rhodolite, genuine yellow citrine, genuine deep red garnet or genuine light green peridot. Can be purchased as charm only or hung on a delicate 16" beaded cable chain. Heart measures approx 3/8" x 3/8" x 1/16" thick. Gemstones are a 3mm diameter. Now my favorite pendant of the moment. 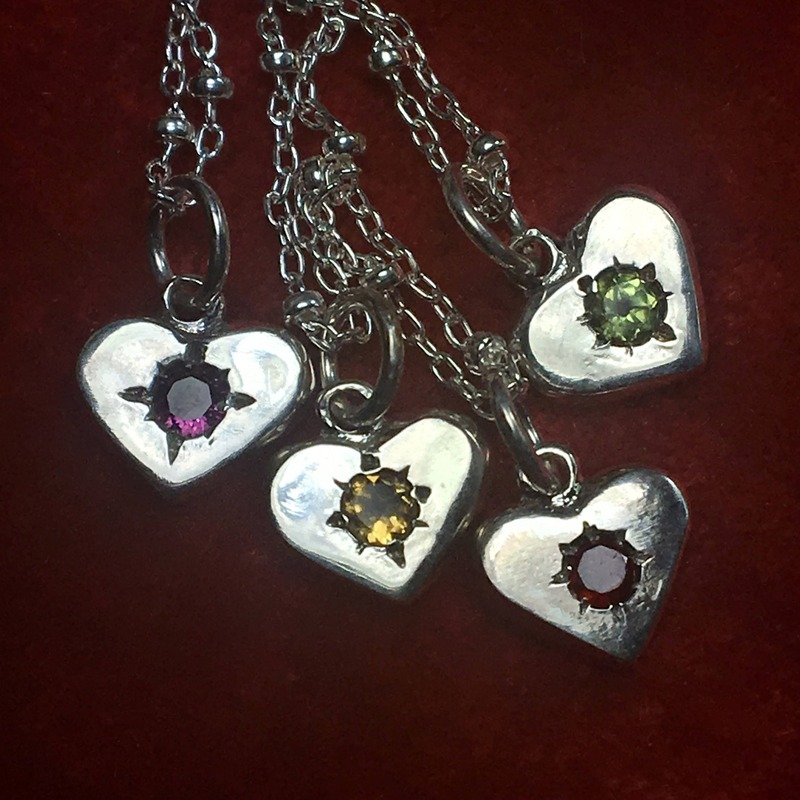 The garnet heart goes with everything and I wear it almost everyday. It is smaller in person but works. Really lovely peices at this shop. Definitely worth purchasing here. Exactly as pictured fast shipping!